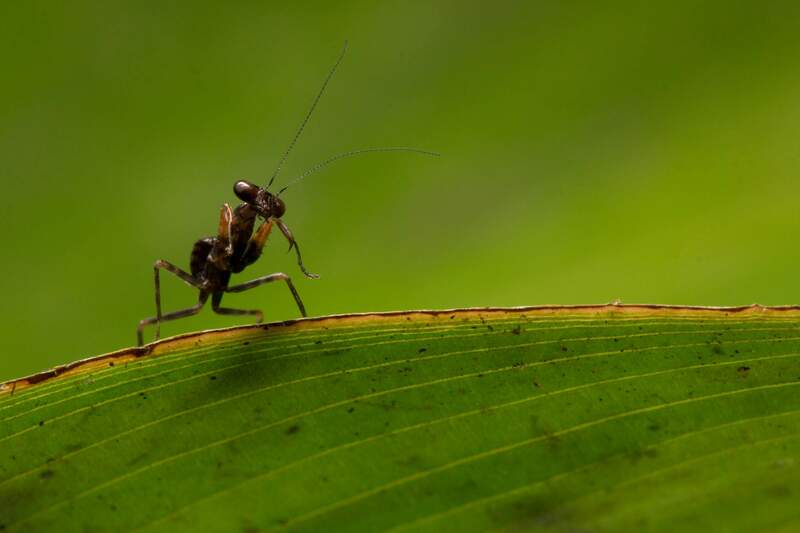 At this stage of the long dark Canadian winter, thoughts of tropical fieldwork should be going through the heads of all sensible entomologists…If you find yourself longing for the moist and humid insect filled paradise of the Neotropics, or even if that is what your research plans call for, let me introduce you to the wonders of French Guiana. French Guiana is situated just north of Brazil on the Atlantic coast of South America, and remains to this day an overseas Department of France. Both French and Creole are spoken, so Canadians should feel right at home. 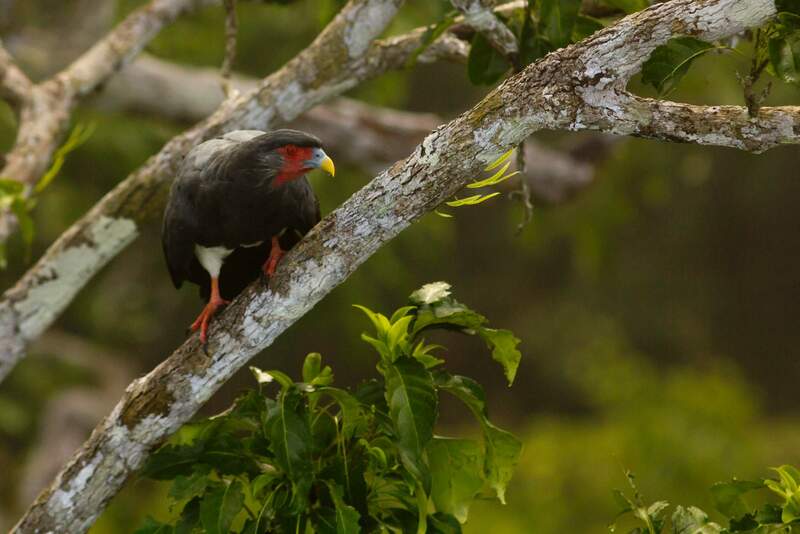 French Guiana truly shines as a biodiversity and natural areas hotspot because unlike many countries in the Amazonian forest region, it has not experienced extensive deforestation. The immense expanses of unlogged rainforest are truly impressive. I have done all my tropical fieldwork at the Nouragues station, supported by an annual grant program that seeks to assist visiting scientists with the travel and logistical expenses involved with a tropical field season. If the pictures above do not whet your appetite, please feel free to browse a more extensive collection here. 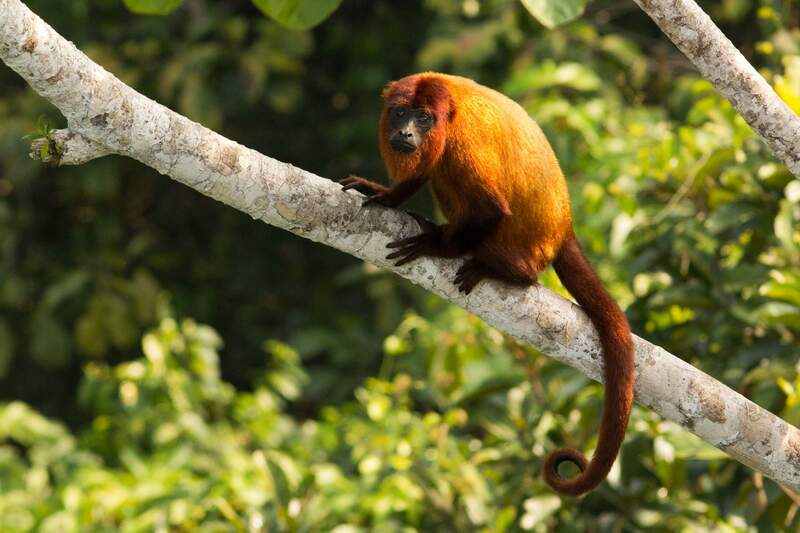 The 1000 km 2 Nouragues reserve is located approximately 100 km SSW of Cayenne, and was established in 1995 to be both a refuge free of development and to facilitate research on Neotropical forest dynamics. 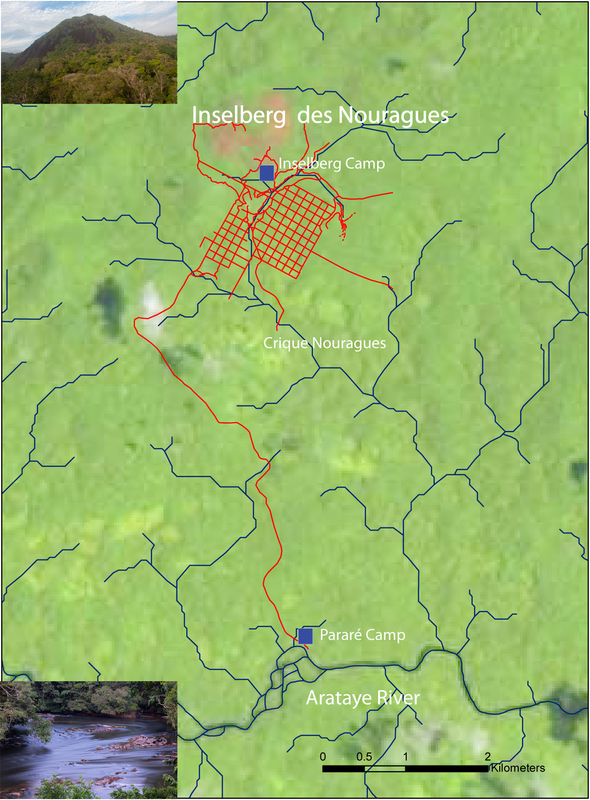 There are two research camps, the Inselberg Camp, situated just beneath a 420 m granite mountain, the Inselberg des Nouragues, and the camp at Saut Pararé, situated just below a series of high rapids on the Arataye River. 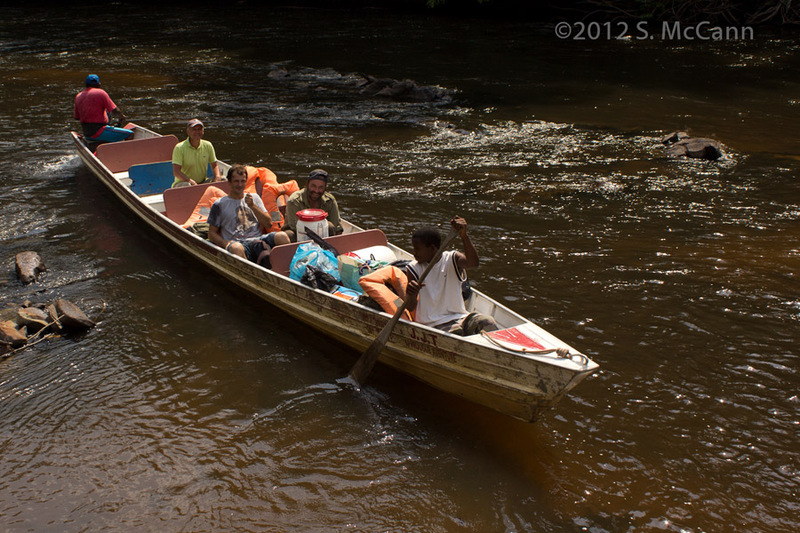 The camps are accessible by helicopter, or you can take a motorized canoe (pirogue) to the Saut Pararé camp. Both camps are administered by the CNRS (Centre Nationale de Recherche Scientifique) which has an office in Cayenne. Field costs are €20/day for students and postdocs and €35 per day for established researchers. Travel to the station can be expensive, but sharing the cost of helicopters/pirogues with other researchers can bring the costs down considerably. Access to various parts of the forest is facilitated by an extensive trail system (see map). Data on tree species and flowering/fruiting phenology in two large research plots at the Inselberg Camp are available. 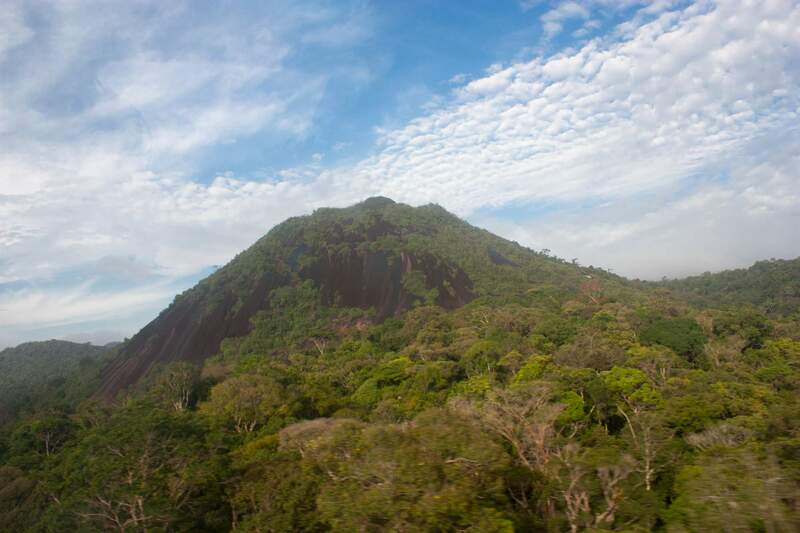 At the Parare camp, there are many trails, although not as extensive as at the Inselberg camp, as well as access to riverine and palm swamp habitats. Lists of species of birds, bats, fish and trees are available, and there is an impressive list of scientific data already published. 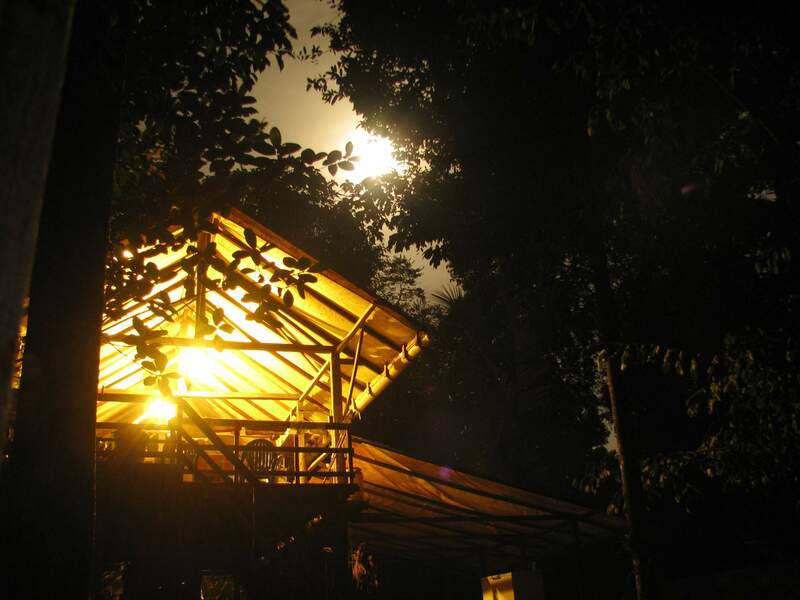 The camps are comfortable, with covered shelters (carbets) for sleeping and eating, and there is electricity and running water at each station (it is the rainforest!). There is also a satellite internet connection which is adequate for email and keeping in touch with labs and colleagues. Food is provided, and is quite good (as one might expect at a French field station! ), cooking/cleaning duties are shared. If you are a student or a researcher at the planning or pre-planning stages of a Neotropical research program, there is no better time than now to submit a research proposal to the scientific committee of the station. The recently announced call for proposals will fund projects to a maximum of €9000, which would nicely cover the transportation and field costs for a several-month expedition. The deadline is Feb. 14, 2013. For more information, the details are available here. 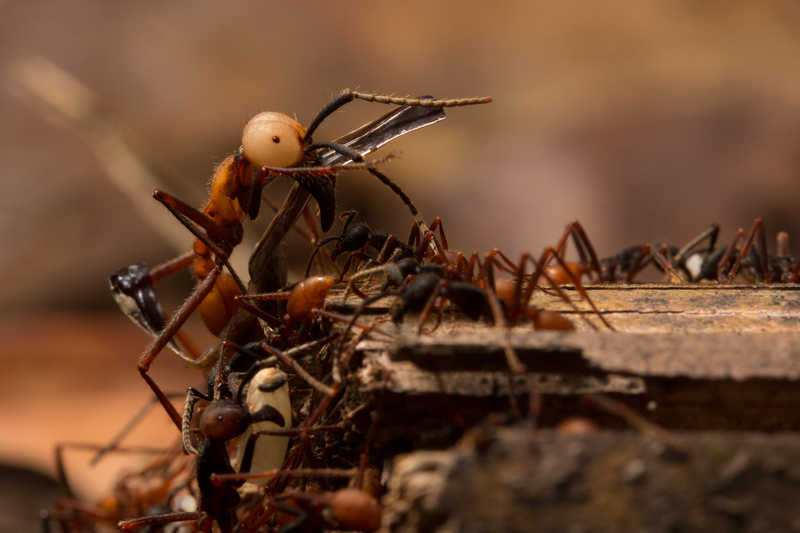 Eciton army ants…Go see some now! ← Who am I, and what is this blog about? Well done Sean! Cool photos (as always) and great idea to post on!